HOUSE OF TEN: Change of Mind... thumbs! Rough thumbnails for future Storyboards. Things ARE moving along... as quickly as it can with two guys that work full time. This week I plan on recording our narrator. Just having that to listen to should help Colin along, as well as give us a decent idea of run time. 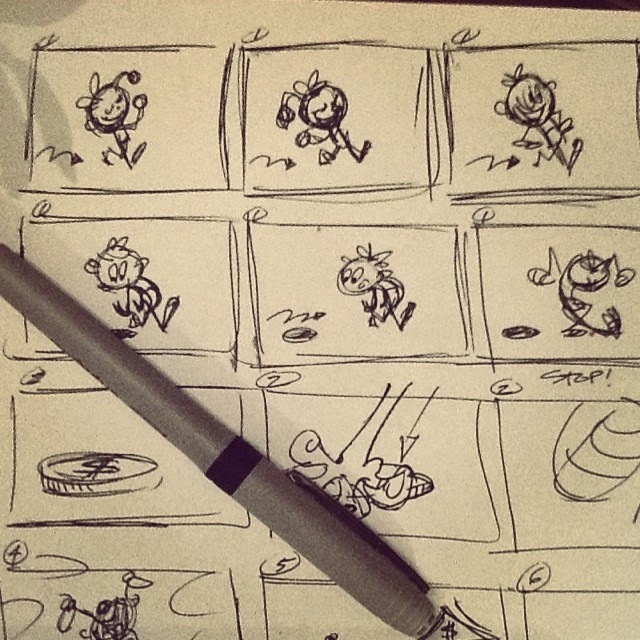 Also, I'd like to do a rough edit pass maybe using Colins thumbs to get an idea of how our pacing is going to be. I could just tell him, but that would be no fun.